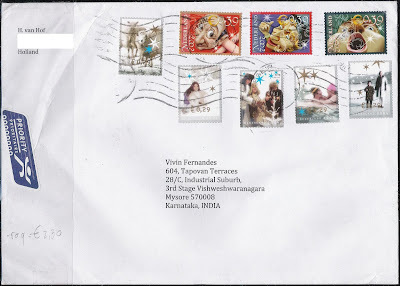 This is a blog of my personal stamps and covers collection. I am an avid collector of postage stamps, miniature sheets, FDCs and covers addressed to me from across the world, an accumulator and hoarder of stamps. It is my attempt here to show you all of my collection in the posts that I'll add and update regularly. I hope to add more to the collection in the process, interact with you other collectors out there and share thoughts and information about anything and everything related. 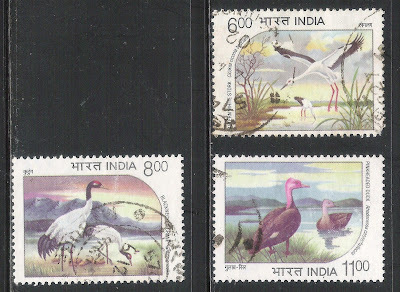 No better feeling than having a gap filled in your stamp collection. This time, and yes it has been a long time, its the 1994 water birds issue. I am one happy collector today. 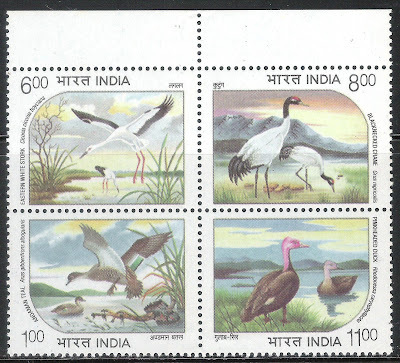 This set of stamps was issued by India Post on 23rd Nov 1994. 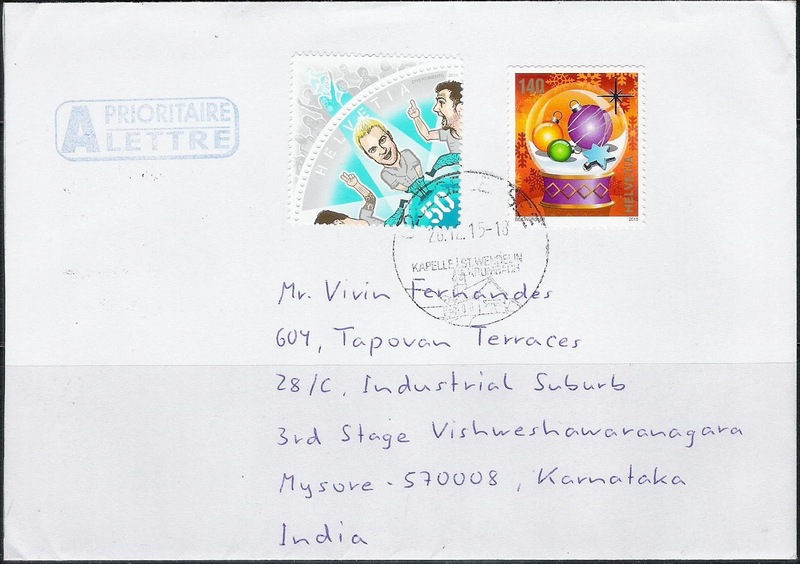 However was withdrawn shortly after issue as the stamps were printed with water soluble ink. Earlier. Had the used Rs 6, Rs 8 and Rs 11 stamps and the Rs 6 stamp had a minor fault of a missing perforation. 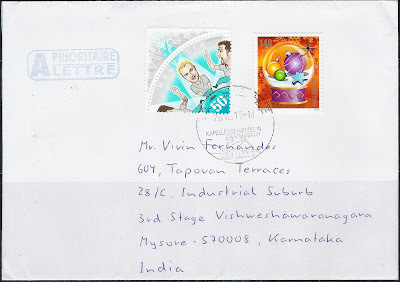 No Re 1 stamp here. Now. Mint Se-tenant block of 4. Here's my earlier post on the gaps in my Indian collection. I now will have to look for only one stamp, the 1948 - Mahatma Gandhi - Rs 10 to complete my post independence India collection. NOTE: Please click on the images for a larger view / closer look. This love of stamps and all else related has got me to share my collection of stamps and covers through this blog. 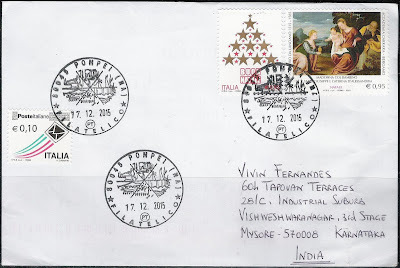 I will try to post here my entire collection that comprises India commemoratives 1947 till date, definitives & miniature sheets, all of GB 1937 through 2000, christmas and odd shapes thematic and a general world wide countries collection. As I build my collection my immediate interests are all of Australia, the rest of GB till date, all of Canada and USA. I have also recently started collecting covers, postcards and Maxim cards addressed to me. 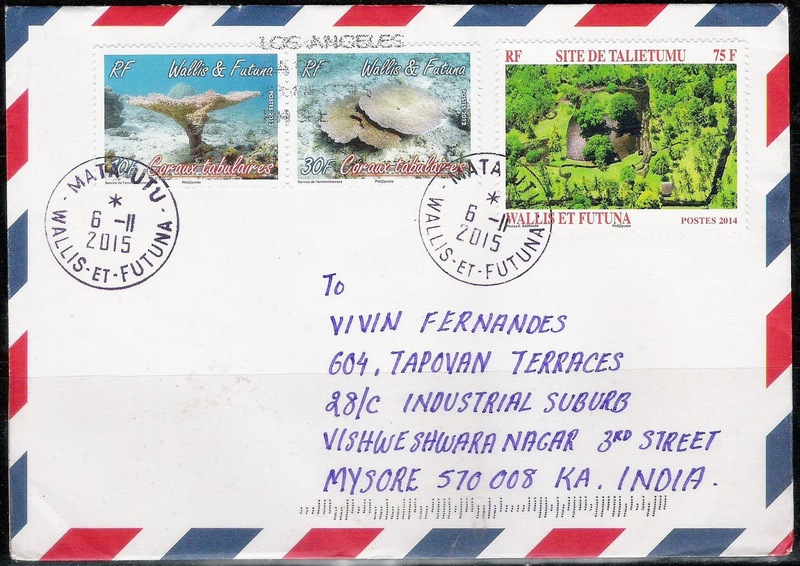 If you would like an exchange, please send me a cover / postcard with multiple commemorative stamps on it from your country and I will send back a similar cover / postcard from India. Do feel free to add your thoughts, comments or suggestions NOTE: Please click on the images for a larger view / closer look. 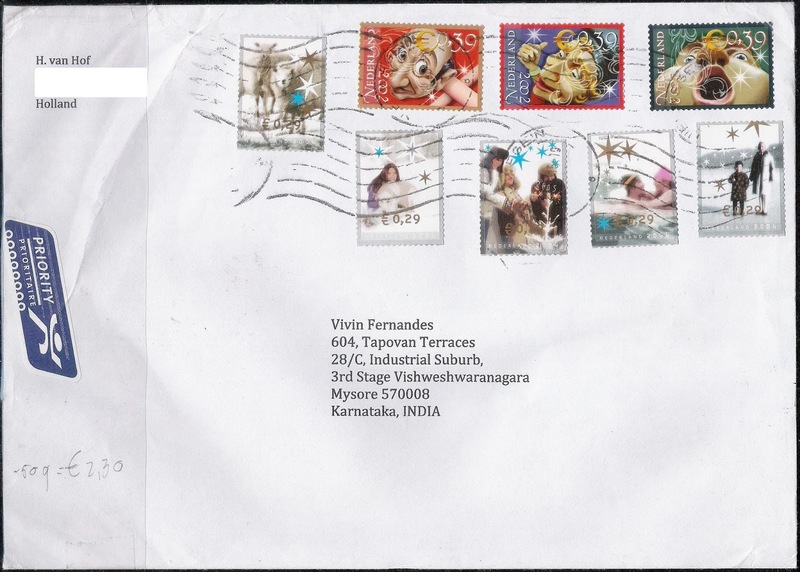 I would love to receive covers. 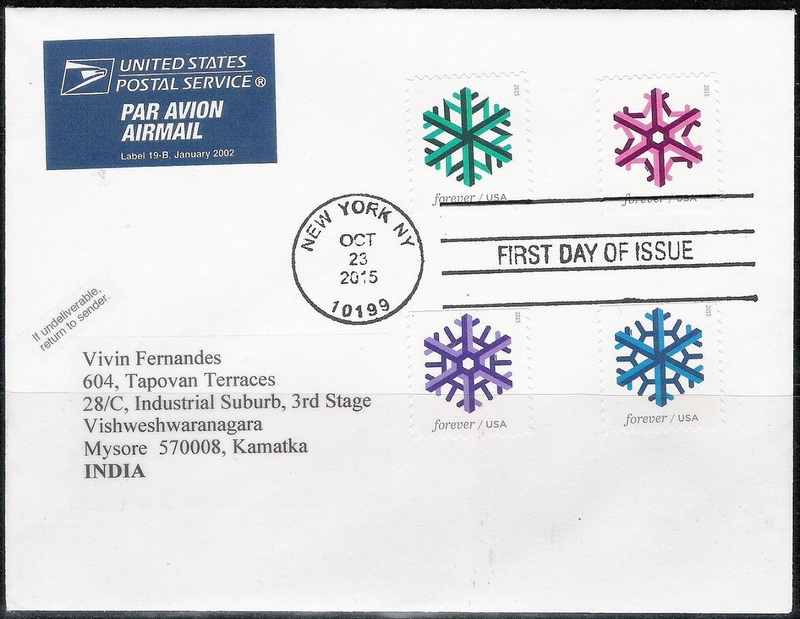 My favourite topics are Christmas, Odd shaped / Unusual and Cartoons / Comics / Animations stamps. Covers from all over the world are welcome. 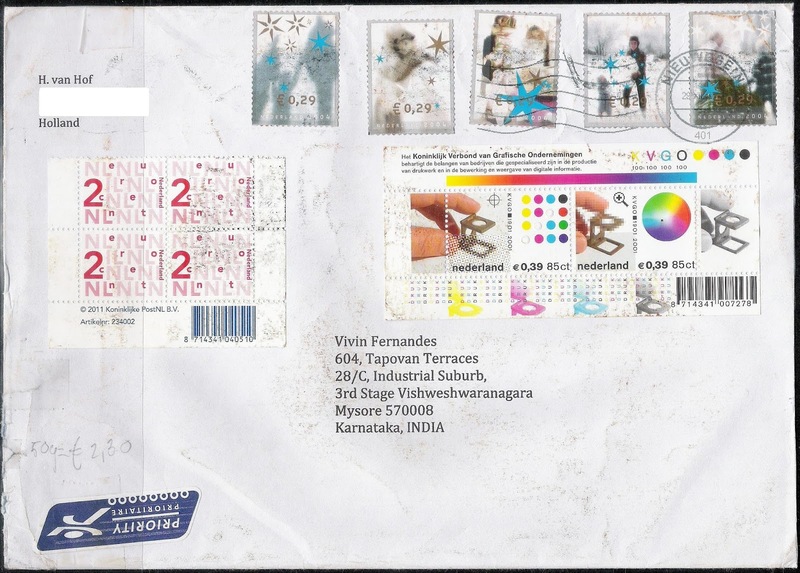 I don't mind receiving covers from countries that I already have covers of. So please feel free to send 'em across. A prompt reply is assured.